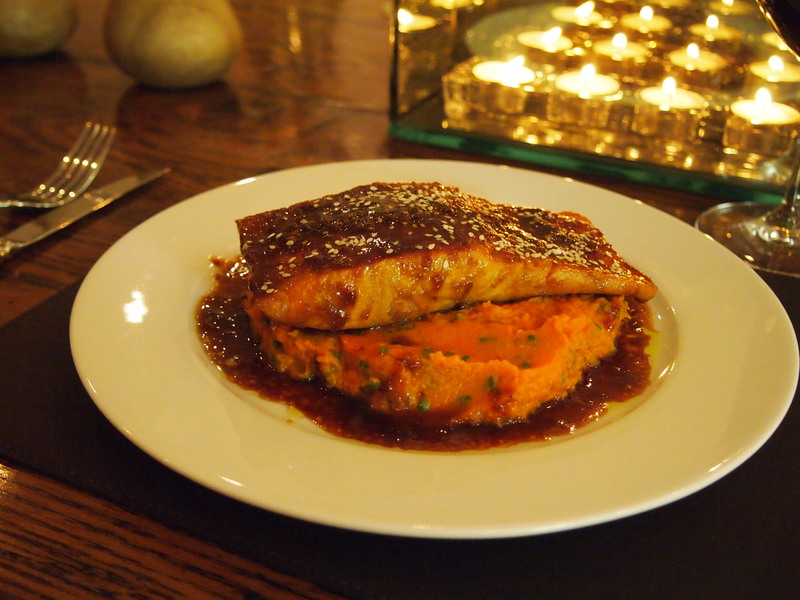 This teriyaki salmon and accompanying pumpkin mash is easy to throw together for a weeknight meal and has the advantage of being carb free. For some reason we tend to normally have this on a Monday night when we feel like something tasty but a little on the healthy side after the weekend. It makes the start of the week a little easier, knowing there’s something delicious for dinner. Place salmon in a glass dish large enough to hold the salmon in one layer. 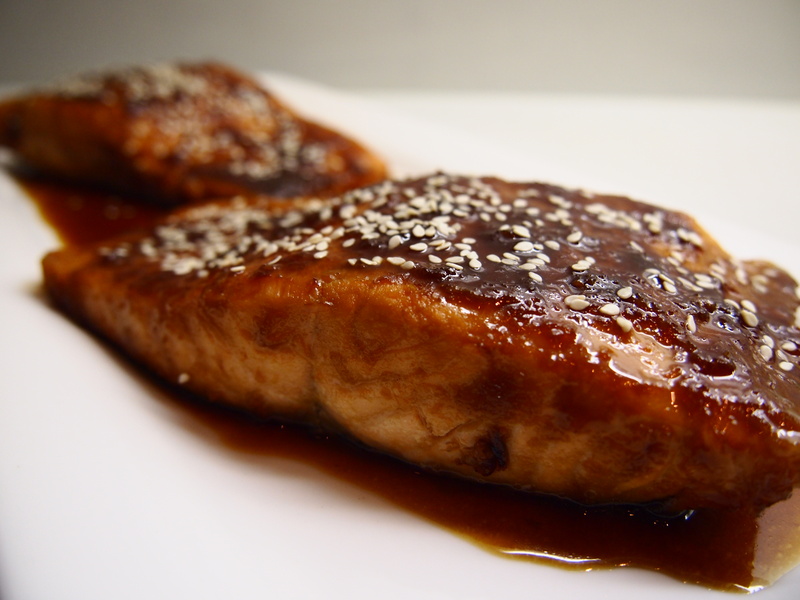 Combine the rest of the ingredients, except the oil and sesame seeds, in small bowl and pour over the salmon. Leave to marinate for 20 minutes, or if you have the time for up to an hour. Whilst the salmon is marinading prepare the mash. Peel, deseed and chop the pumpkin into 1 inch pieces. 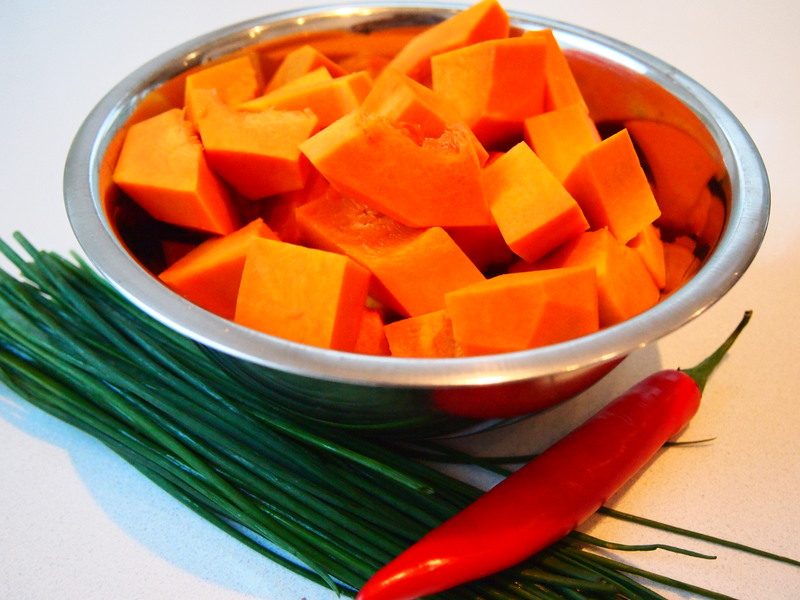 Bring a saucepan of salted water to the boil and add pumpkin. Cook for 8-10 minutes until the pumpkin is very tender. Drain and return to the saucepan along with a knob of butter. 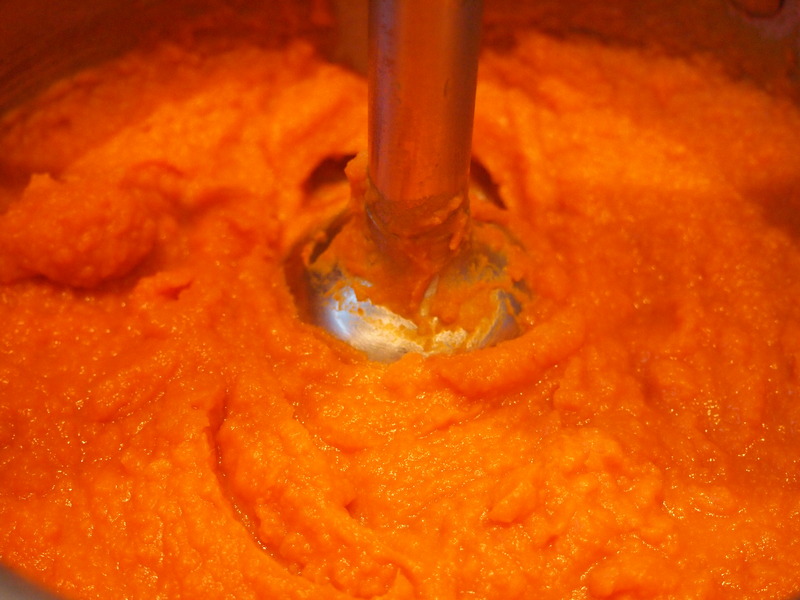 Using a hand blender (or a potato masher) blend the pumpkin until smooth. 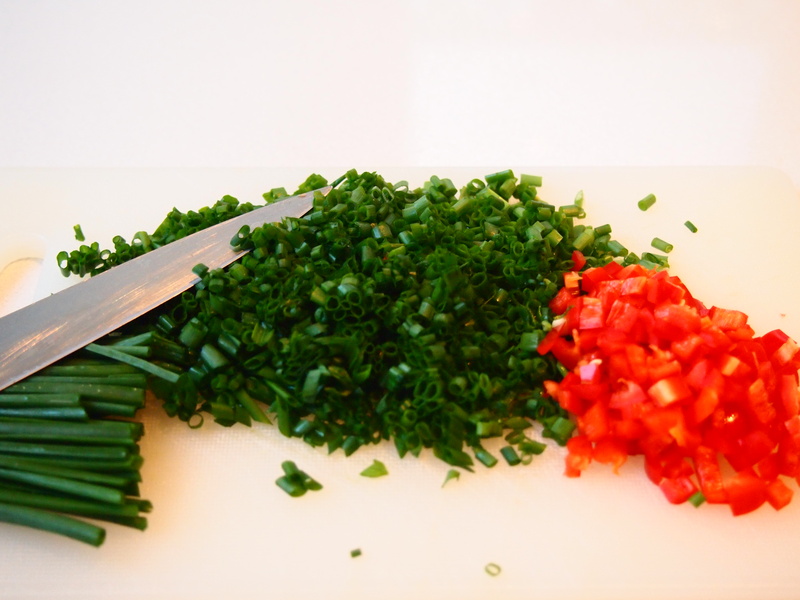 Add the chopped chives to the pumpkin mash and stir through to combine well. 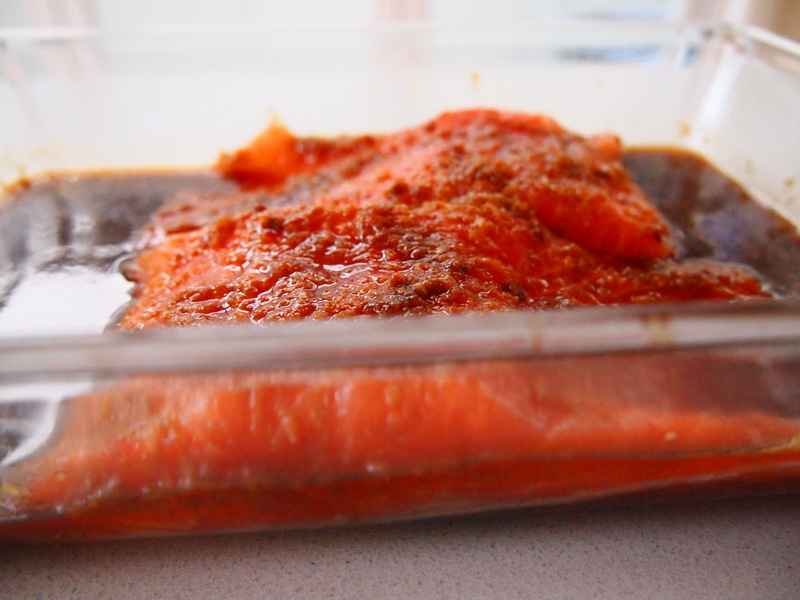 Once the salmon has finished marinating heat a tablespoon of olive oil in a non stick frypan. Add the salmon and cook over medium heat, on the skin side for 3 minutes. Turn the salmon over and add the marinade to the pan and cook for a further 3-4 minutes until the salmon is just cooked through and the sauce has thickened. 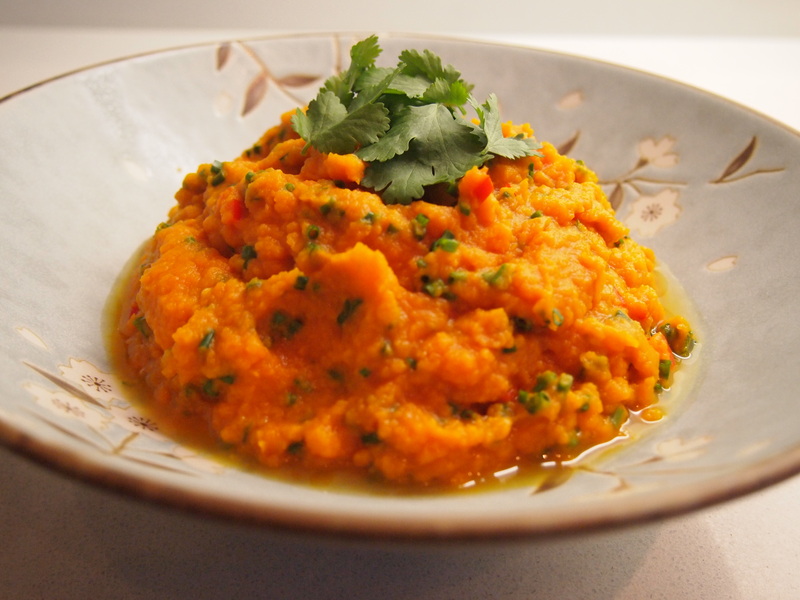 To serve, place some of the pumpkin mash on the centre of each plate and top with a piece of salmon, some of the sauce and a sprinkle of sesame seeds.